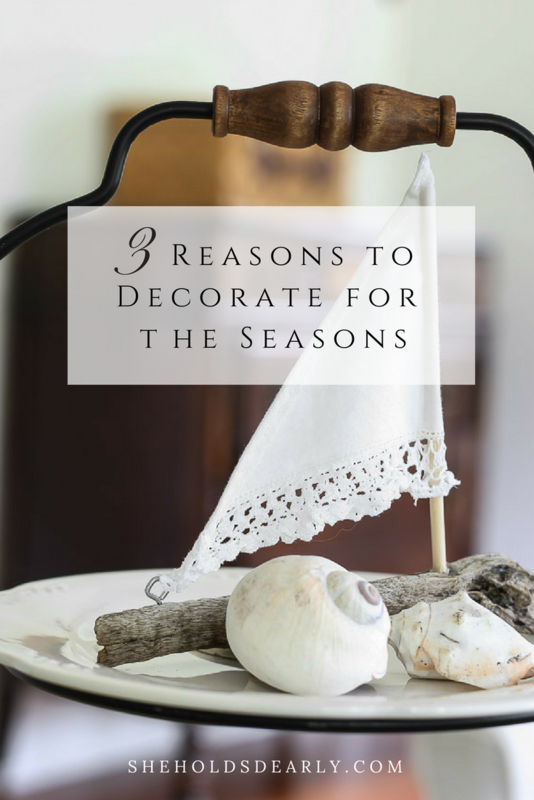 Do you consider yourself a seasonal decorator? Does it seem like a waste of time and money? I used to feel that way a little. But, over the years, I have changed my tune for three reasons. . . It wasn’t until I did a self-imposed time audit the year my third baby was born, though, that really solidified things for me. 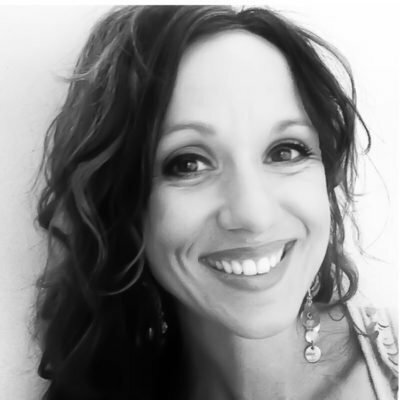 After writing down everything I was responsible for around the house and asking my husband for feedback, I had my epiphany. Out of the four pages of tasks, my husband told me that he didn’t give a rip about whether or not the house was dusted, but he most definitely wanted the dishes done everyday. And he really appreciated it when I did seasonal decorating. I had no idea- on any of that! It pays to ask sometimes. It cultivates gratitude and celebration in one’s life. Keeping in rhythm with the changing seasons and holidays helps us for getting swallowed up in the mundane of the ratrace. It forces you to deep clean! Ok, I admit it, I may never get to deep cleaning if it were not for seasonal decorating. You know that feeling you get after you take down the Christmas tree and clean everything up? You can feel that way four times a year! I sweep down the cobwebs, wipe down the walls, windows, etc. The slipcovers get washed and those annoying junk piles get dealt with. 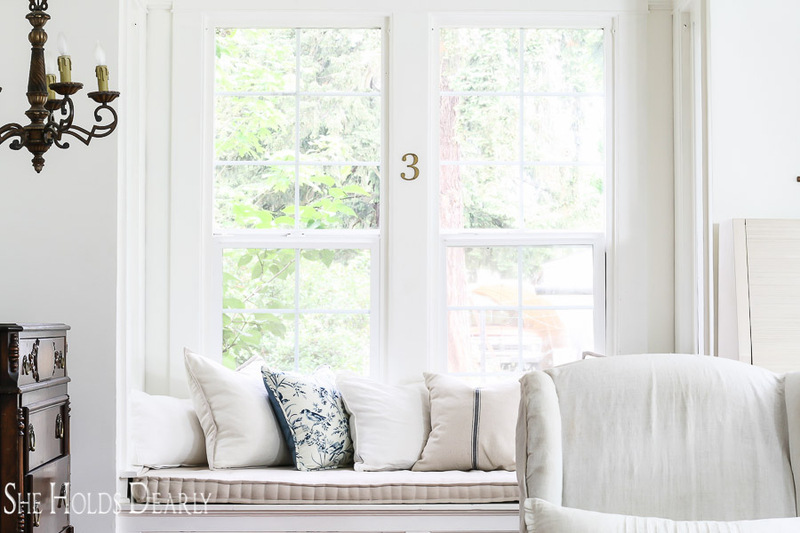 It provides the decorator-at-heart with an inexpensive way to use color and different looks in her home. I hear from women all the time about how they can’t make up their minds on decorating, they are afraid to commit to a color scheme for fear they will change their minds too soon. 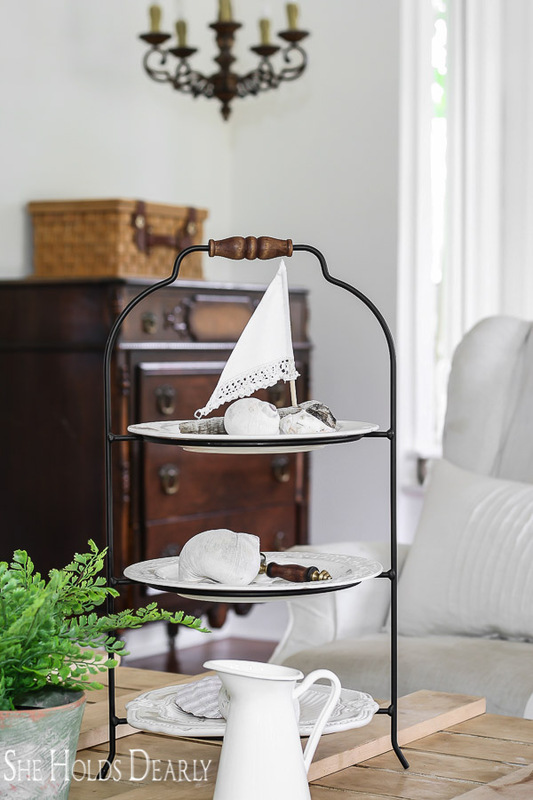 Seasonal decorating is a great way to enjoy different styles and colors without completely making over the entire house. 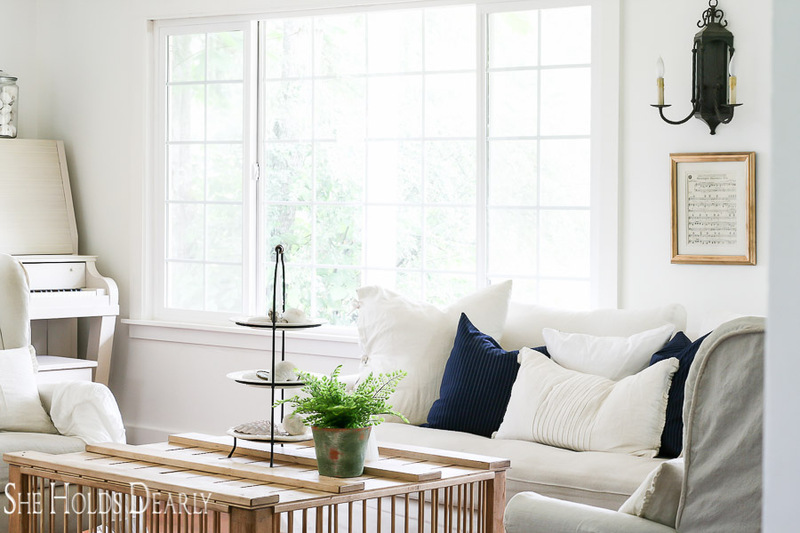 I did invest a little bit of time into refreshing our living room for summer. 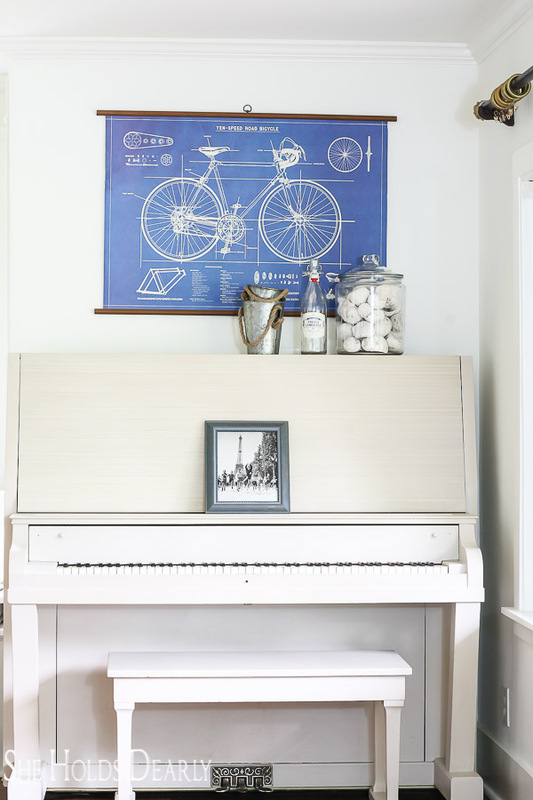 First, I hung a vintage bike poster above the piano. 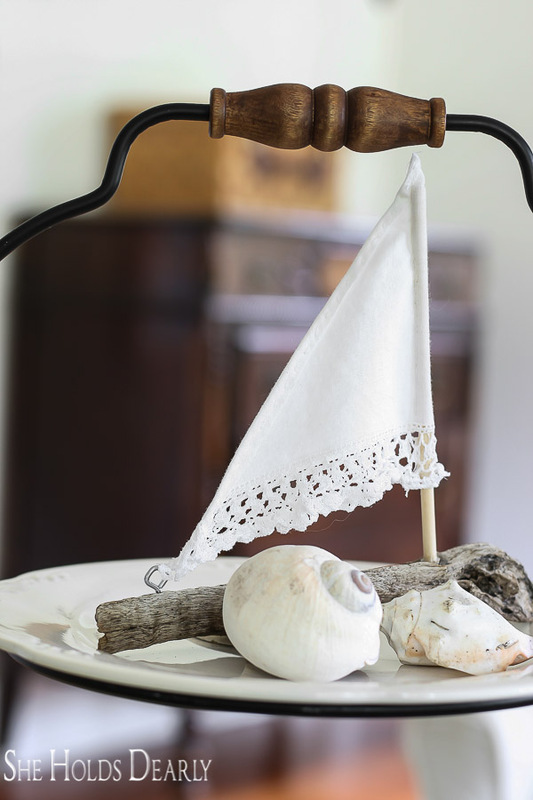 You can learn how to make on of these in DIY Vintage Wall Hanging. 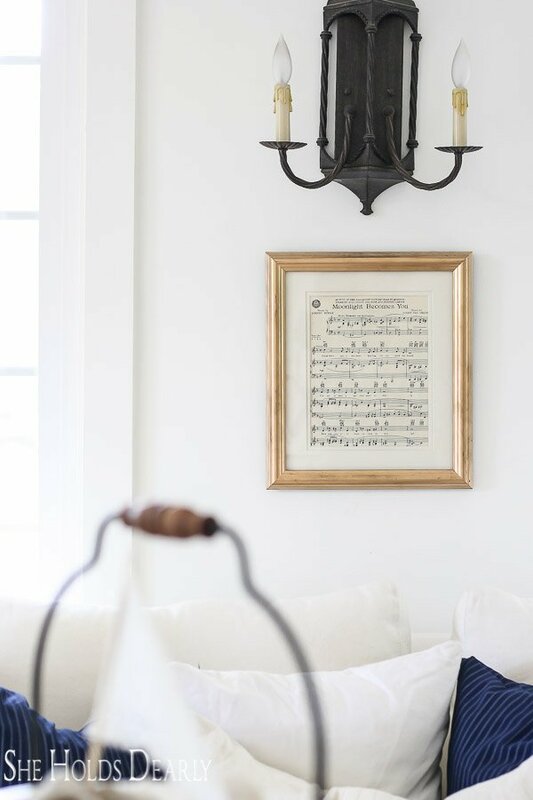 I moved the framed sheet music to hang above the couch. 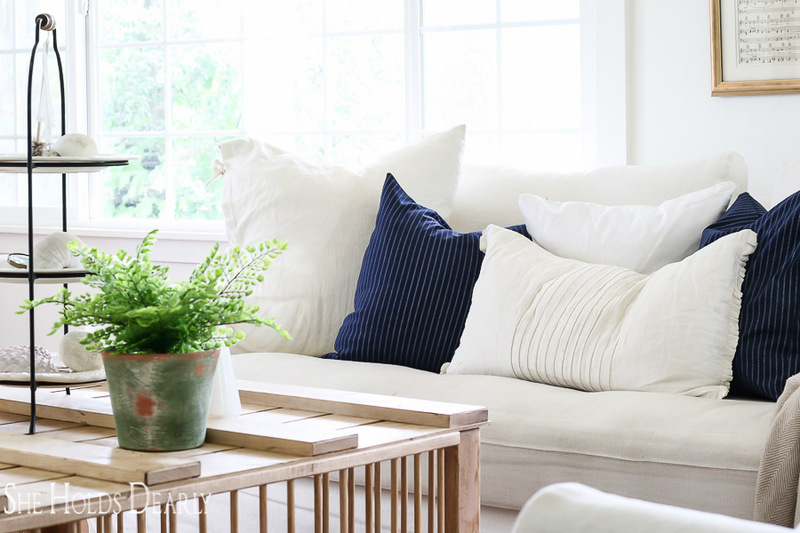 After that, I sat down to make a couple of pinstripe pillows to compliment my other farmhouse style pillows. Etsy had the perfect grainsack pillows and two blue bird floral ones that I loved. Alternately, you can make your own bird pillows with the fabric from Joanns. 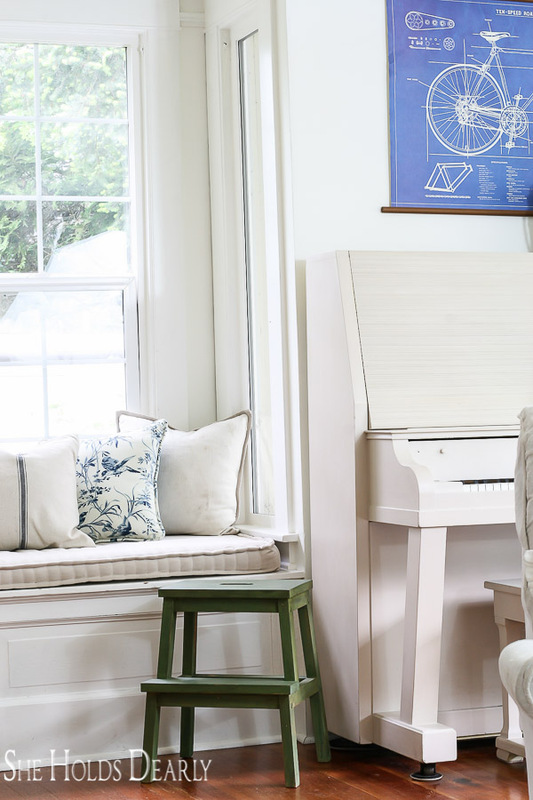 Finally, I came back to style up the piano and coffee table with vintage beach style decor. You can watch the tour here! 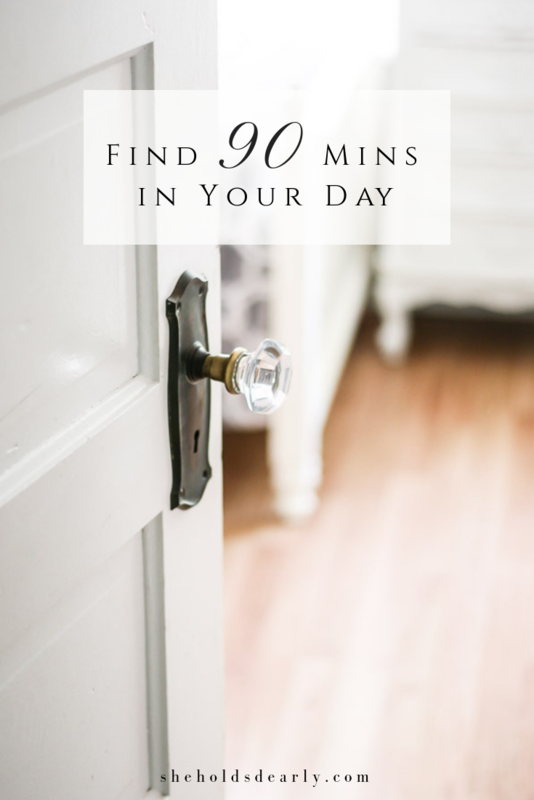 If you enjoyed this topic you may enjoy visiting these other blogs, as well, today! Jamie, I KNOW you understand about the four page thing. Haha, and thank you for your sweet compliments on my house, they mean a lot coming from someone as talented as you. xoxo I can’t wait to see your book!! Squeal!! 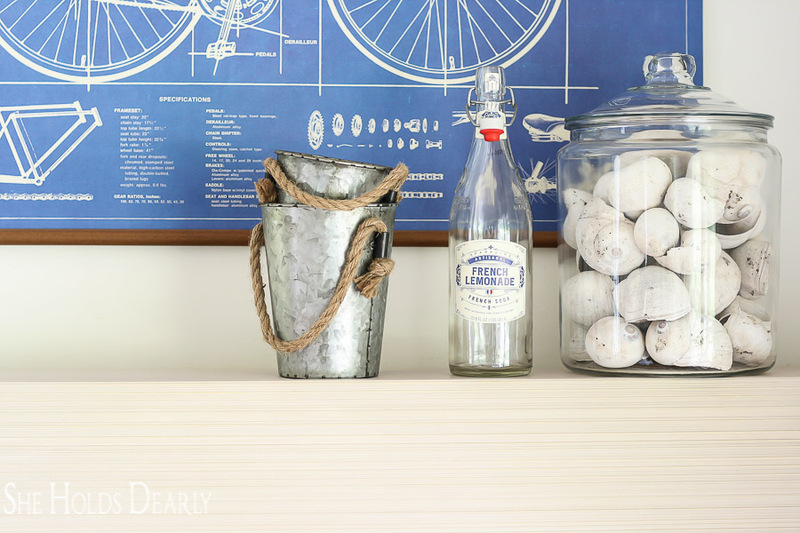 LOVE the blue bicycle poster!! 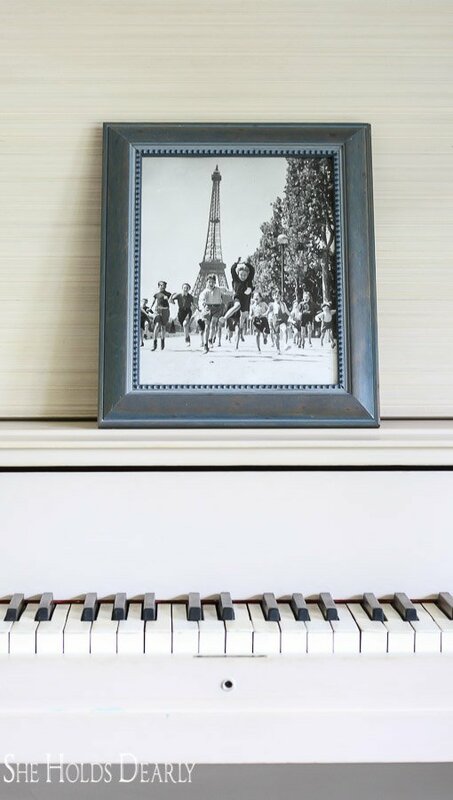 It’s perfect hanging above your white piano. Thanks for joining this week’s tour! 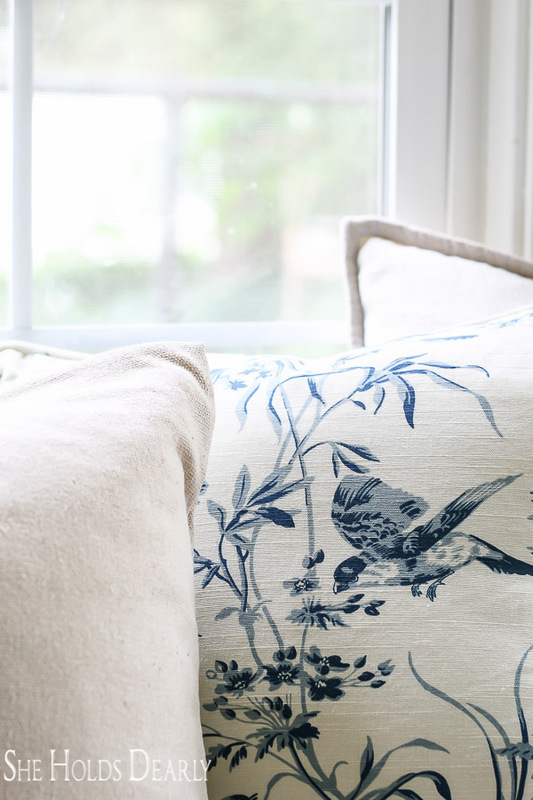 I’m in love with those bird throw pillows! I tend to not change things around too much and you really encourage me to make even slight changes throughout the year. I can totally see these bird pillows in your house! So glad you are inspired, my friend! I love seasonal decorating. Your house looks adorable for summer. I’ve got the same pillow from IKEA. I’ve decided I need blue pillows to ground it. Thanks for the inspiration. I can tell you have good taste haha!